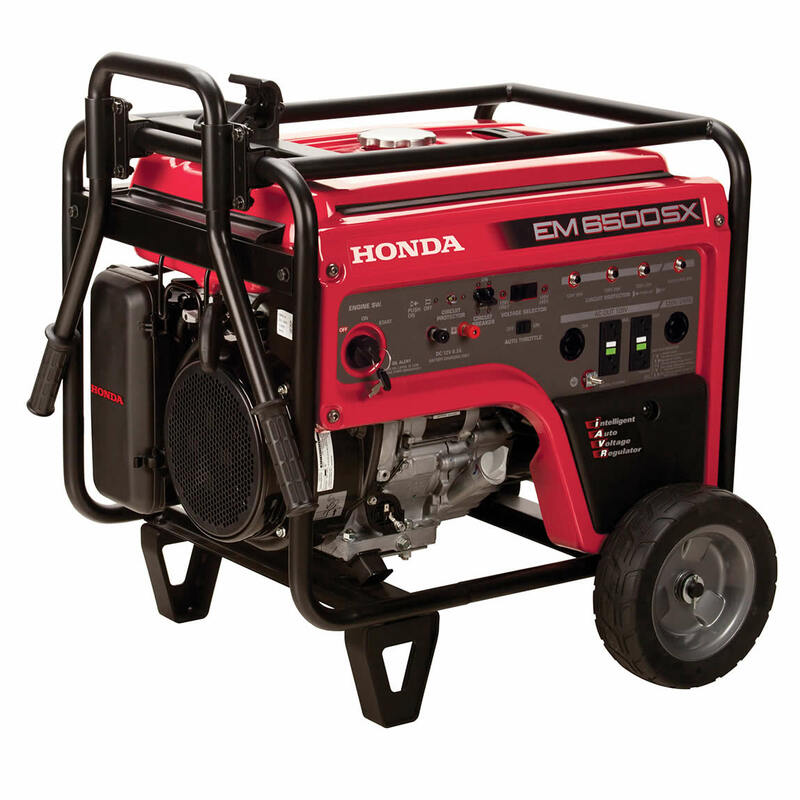 The Honda EM6500 Generator will deliver 6500 watts, 120/240V of power and can provide power for a refrigerator, freezer, furnace, well pump, and much more. It is designed for construction job-sites and can provide emergency back-up power to your home. 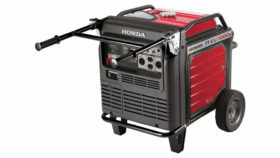 The push-button electric starter with recoil back-up will run up to 10.4 hrs from the Honda iGX commercial engine. $2,765.00 6-Point Service Price (Pro-assembly with Free gas/oil, Safety & Maintenance Demo, $30 value 1st Break-In Service, Lifetime oil change on 4-cycle gear). Pre-order and get In-store pick-up. $2,699.95 Cash Price, in-store pick-up (Pro-assembly with Free gas/oil, $30 value 1st Break-In Service, Lifetime oil change on 4-cycle gear, and safety & maintenance demo).